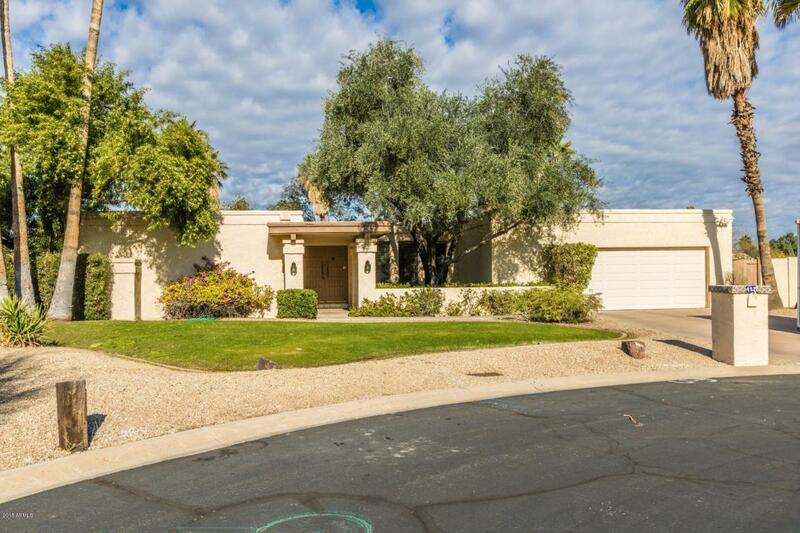 Welcome Home to to this Amazing North Phoenix home surrounded by pristine natural desert and majestic mountain views! Quiet Cul de Sac lot with mature trees and great curb appeal. Well maintained interior offers tons of living space. Wet bar and fireplace in the living room! Formal dining room has easy kitchen access. Large eat in kitchen boasts a plenty of cabinets, and a sliding ''pass through'' window to the covered patio. Nice split floor plan with 4 spacious bedrooms. Master has a walk in closet and an adjoining bath. Views, views, views from the generous backyard that backs to the Preserves and features a refreshing blue pool, extended covered patio, and easy care landscape! Home is move in ready, or take advantage of Potential Galore to update to your Dream Home!